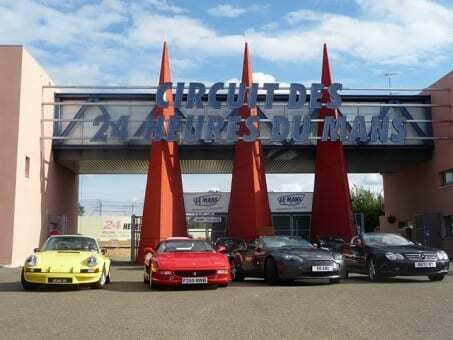 THERE IS ALSO AN OPTION AT THE END OF THIS TOUR, TO CONTINUE ON OUR TOUR TO WATCH THE 2020 MILLE MIGLIA. 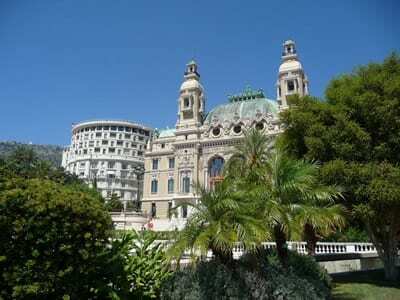 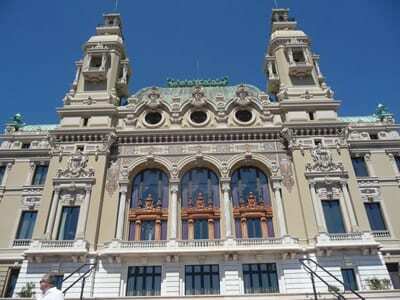 There is also an option to have lunch on Saturday in the Hotel de Paris which is in Casino Square. 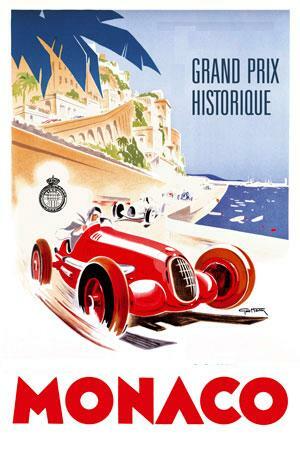 A 10 day tour, ( with a 5 day tour option) to Monaco on the Cote d'Azur to visit the 2020 Monaco Historic GP weekend.Our route goes through some of France's most stunning areas including the Loire Valley, the Dordogne, the Gorges des Tarn and Provence through scenic gorges and visiting, along the route, a dozen of France's most beautiful villages,( les plus beaux villages). 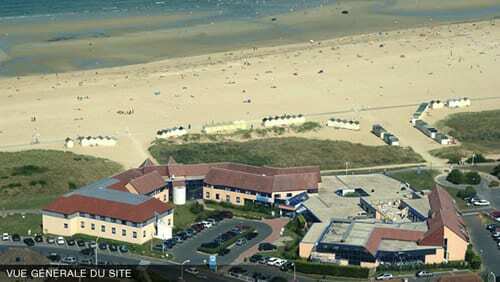 Following an afternoon ferry crossing from Porsmouth to Ouistreham/Caen our first night is spent in Ouistreham. 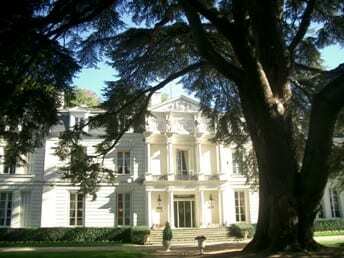 The following day our scenic route takes us south to our next hotel, a 4* sumptuous chateau hotel in the Loire Valley where we spend a night in this beautiful region which is a UNESCO world heritage site.We then leave the Loire Valley and drive south to the Dordogne our next overnight stop, this time staying in a 17th century converted moulin.We then continue south east to Millau where we drive over the stunningly beautiful Millau bridge, the world's highest and most beautiful suspension bridge spanning the Millau gorge.We then drive into the scenic Gorges des Tarn where our hotel is an atmospheric 16th century Chateau on the banks of the river Tarn. 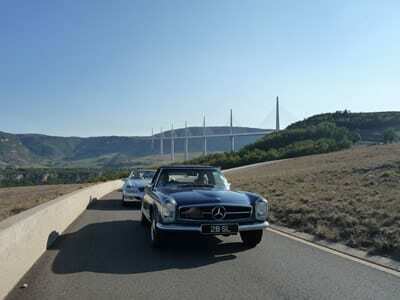 The next day we drive east into Provence through the Luberon area made famous by Peter Mayle in his best selling book "A year in Provence"then through some more of France's most beautiful villages to our hotel near Aups which is a few miles south of the Gorges du Verdon, France's Grand Canyon. 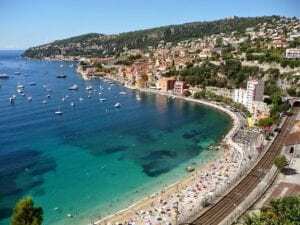 On our 6th day we enjoy a scenic route via gorges and pretty villages eventually arriving on the Cote d'Azur, near Nice from where we drive along the "Promenade des Anglais" to Villefranche sur Mer where our hotel for the next 5 nights is located.Participants on our 5 day tour join us tonight in our hotel. 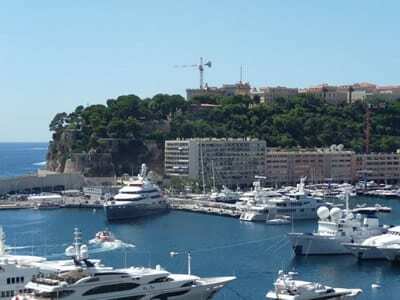 On Thursday after coffee down by the waterfront in Villefranche we drive into Monaco and drive around the circuit and familiarise ourselves with the grand stand seating and parking arrangements over the weekend. 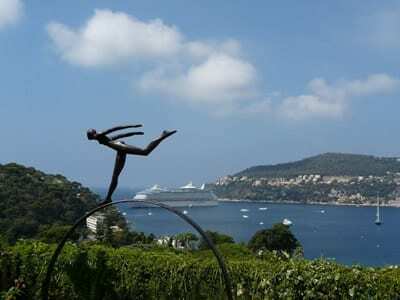 After lunch and exploring Monaco we return to our hotel in Villefranche-sur-Mer. 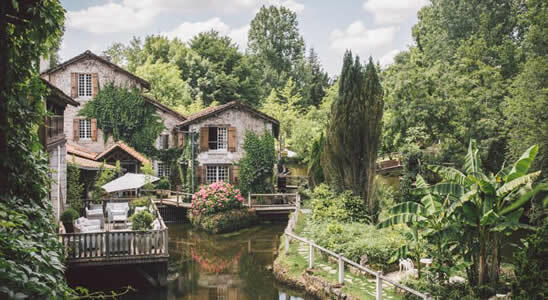 Dinner tonight is in a local restaurant. 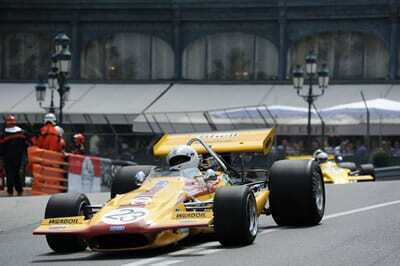 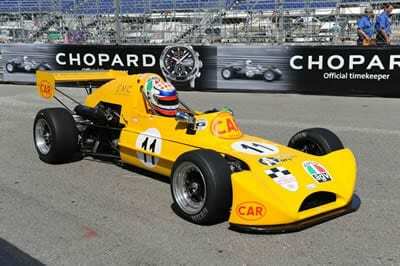 Saturday is practice and qualifying day for the 2018 Monaco Historic GP so we either take the train or drive into Monaco early morning where our grandstand seats are in Casino Square.On Sunday we again take the train or drive into Monaco early morning and watch the 2020 Monaco Historic Grand Prix. 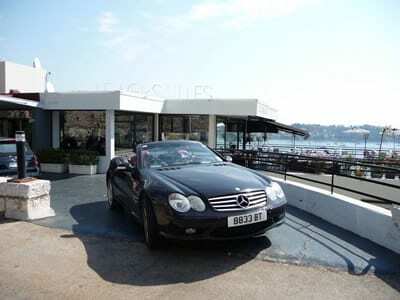 Our afternoon ferry leaves Portsmouth at 2.45pm and arrives in Ouistreham at 9.30pm. 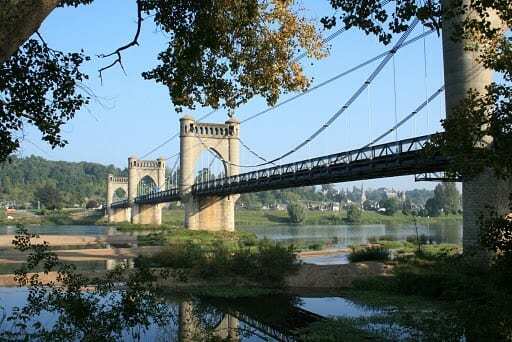 After breakfast our route takes us to the nearby Pegaus Bridge where we stop to visit the bridge and cafe one of the first buildings to be liberated in 1944. 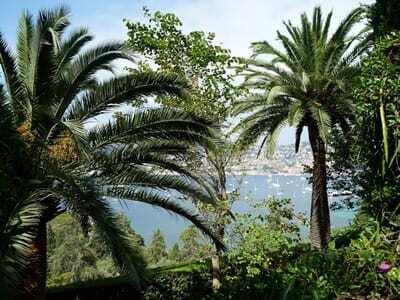 We then continue south to Sees, our morning coffee stop. 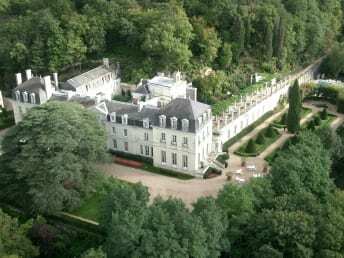 We then leave Le Mans and head south on scenic backroads and a great driving road to our sumptuous 4* chateau hotel in St. Patrice in the Loire Valley (see photos below). 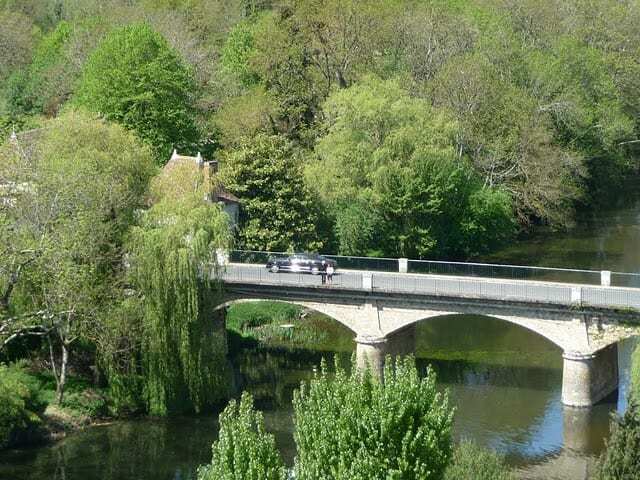 We drive to Langeais and cross the scenic bridge, (see photos below). 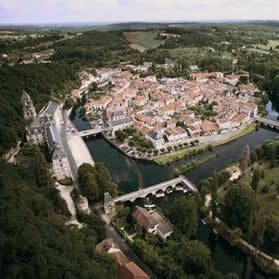 We then continue south , through Azay le Rideau and Descartres, to La Roche Posay our morning coffee stop. 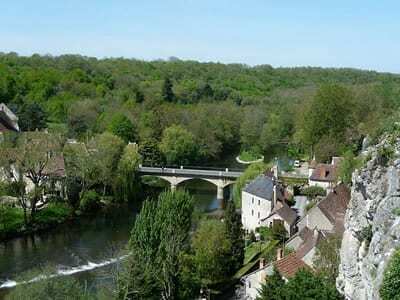 We then continue south to Angles-sur-l'Anglin, one of France's most beautiful villages, "les plus beaux villages" where we stop for lunch at an auberge nestling under the ruins of an ancient chateau.From here there is a panoramic view of the river, (see photos below). 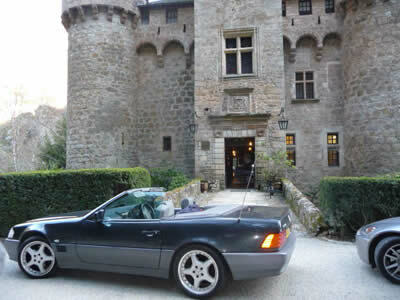 After lunch we continue across the river, stopping for photos with the chateau as a backdrop, see photos below. 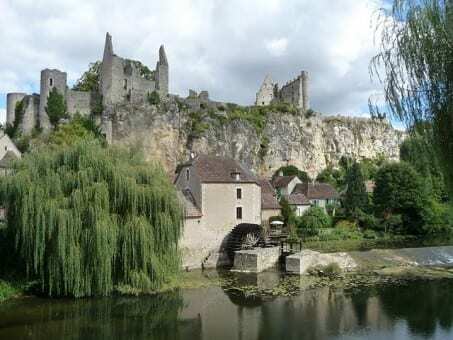 We then drive south to Chauvigny and continue south through the picturesque Vienne valley on minor roads into the Charente department through Confolens to Chabanais where, just south, we stop to visit the amazing Chassenon Roman Baths. 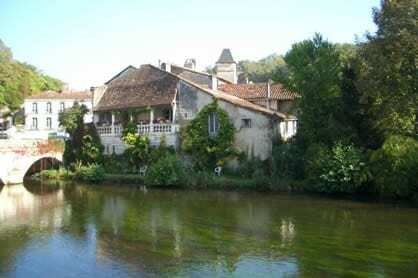 Located at Longeas, a small hamlet just south of Chassenon. 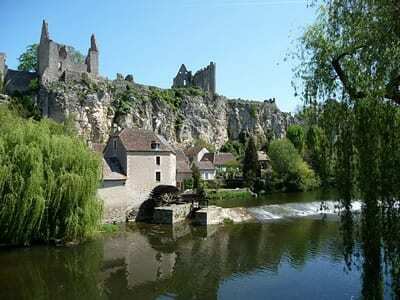 These are amongst the best preserved buildings of their type in the territory of ancient Gaul and, possibly in the whole of what was once the Roman Empire. 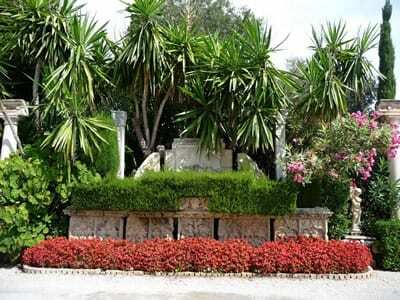 The site also includes three temples, a theatre and an aqueduct, all once part of the ancient Roman city of Cassinomagus. 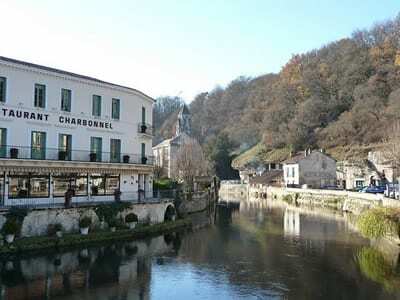 We then continue south into the Dordogne to the charming town of Brantôme, our afternoon coffee stop, described as "the Venice of the Perigord" due to the river Dronne completely encircling the town effectively making Brantome an island, (see photos below). 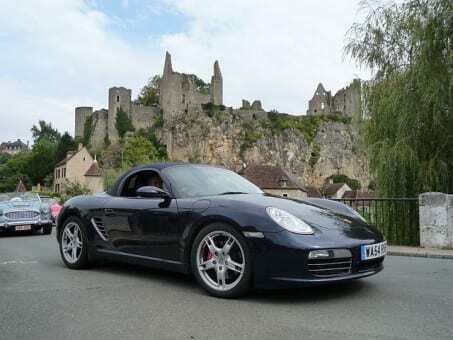 Our scenic route takes us east along the autoroute through Dordogne to Brives and then we leave the autoroute and head south east across country towards Rodez stopping for morning coffee in Martel followed by lunch in Figeac. 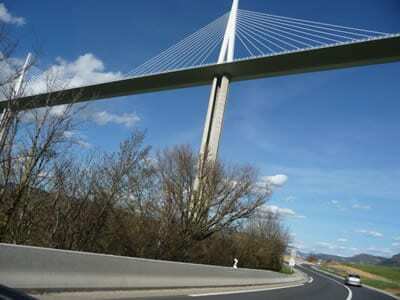 In the aftedrnoon we join the autoroute south to the Millau gorge where, at the observation area, we have the opportunity to view the Millau bridge, arguably, the world's most beautiful modern suspension bridge, (see photos below). 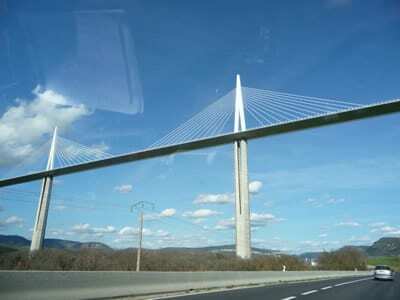 We then drive over the bridge and then underneath it when you really appreciate its beauty and scale. 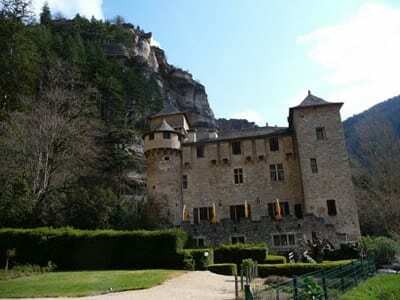 Our hotel, the Chateau de la Caze, located between La Malene and St Enimie, is a stunning 16th-century fortified chateau on the banks of the river Tarn in the gorge itself, (see photos below ). 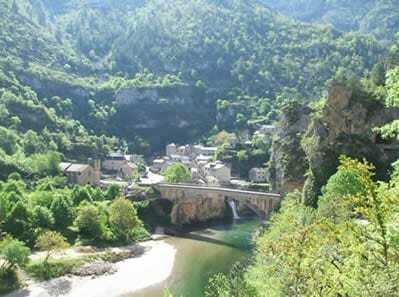 We continue along the stunning Gorges du Tarn to Florac and continue on an amazing driving road, the Corniche des Cevennes for 40 miles to Anduze via St.Jean du Gard. 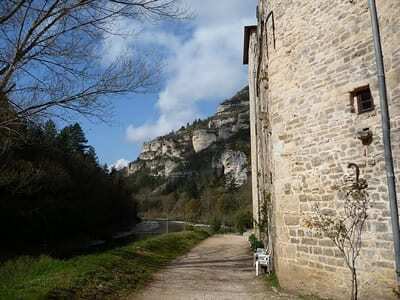 We then continue east into Provence's Var region to our hotel in Moissac Bellevue, a charming hilltop village near Aups a few miles south of the Gorges du Verdon, France's grand canyon. 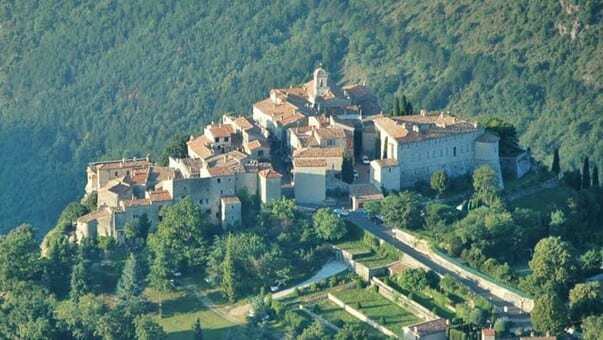 We leave our hotel and travel, via Tourtour then Ampus, through the scenic Gorges de Chateaudouble and then cross country to Bargemon our morning coffee stop. 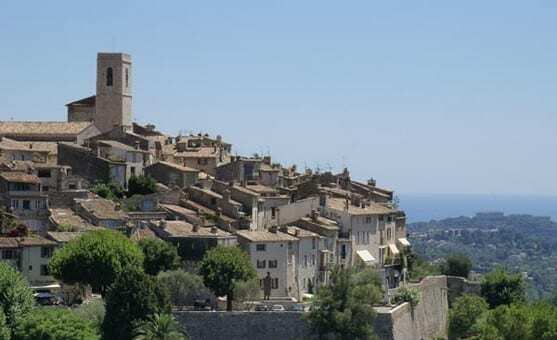 We then drive south east along the "Route Napoleon," skirting the north of Grasse, the world's perfume capital and head north up to Gourdon, our lunch stop, perched precipitously with a spectacular view of the Loup valley and the Mediterranean with Antibes and Cap Roux in the distance, (see photos below). 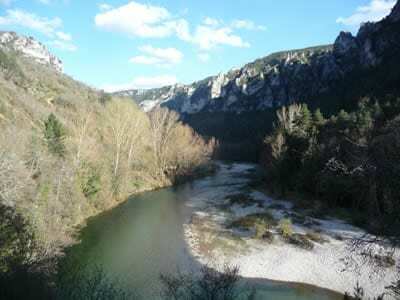 After lunch we descend into the Gorges du Loup, a dramatic gorge with views of the Cascades de Demoiselles a 40m, (130 ft) waterfall. 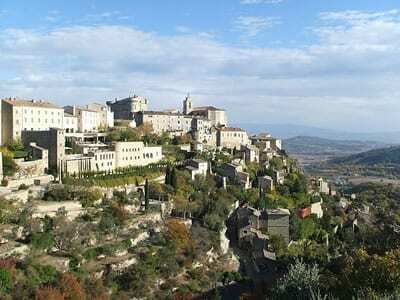 We then drive along the gorge to Tourettes-sur-Loup, an art and craft centre on a high plateau continuing on to St-Paul-de-Vence our afternoon coffee stop. 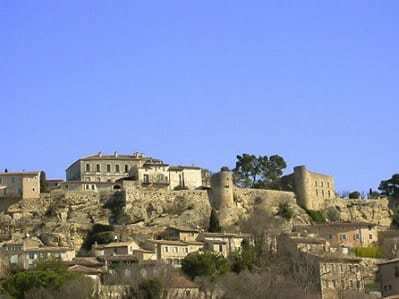 This classic medieval perched village was first "discovered" by Modigliani and other artists of the 1920s. 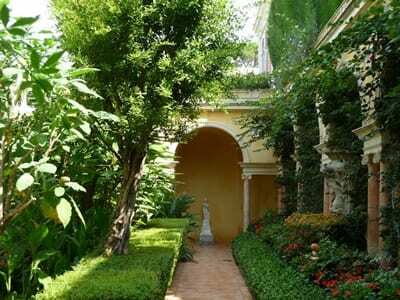 Since that time many of the rich and famous literati and gliterrati have flocked to St.Paul. 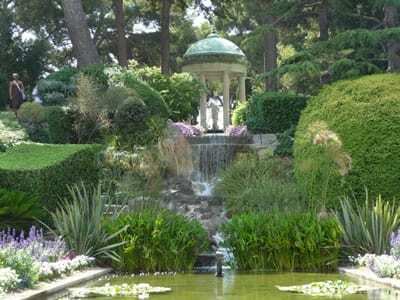 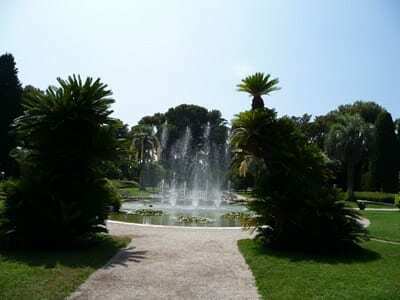 After a walk round the medieval streets we drop down to the coast to Cagnes-sur-Mer and then drive to nearby Nice along the famous Promenade des Anglais. 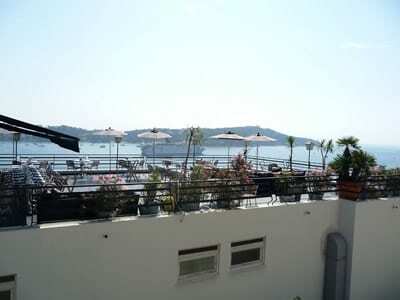 Dinner, tonight, is in the hotel's restaurant overlooking Villefranche harbour. 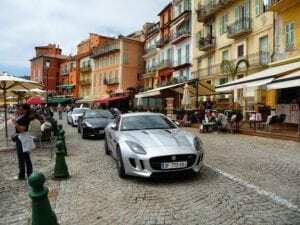 After 6 days of travelling we enjoy a relaxed breakfast then drive down to Villefranche old town on the waterfront for a coffee.Late morning we drive 10 miles to Monaco where we drive around the grand prix circuit a couple of times before enjoying lunch and then coffee in Casino Square. 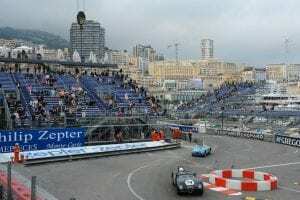 We also show you the grandstand seating arrangements for the weekend as well as the parking arrangements in the underground car park in Casino Square. 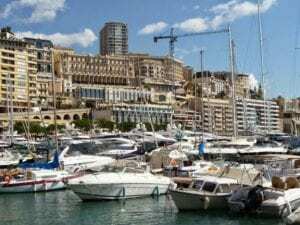 Casino Square is one of the best viewpoints, and our grandstand seats are located here over the weekend.We will also visit the jet-set harbour. 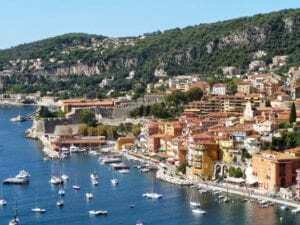 We then return to the old town of Villefranche-sur-Mer for lunch, see photos below. 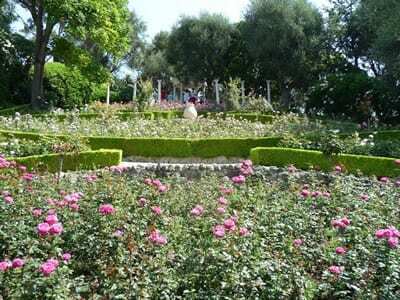 In the afternoon we visit neaby Beaulieu where we visit the Greek Villa. 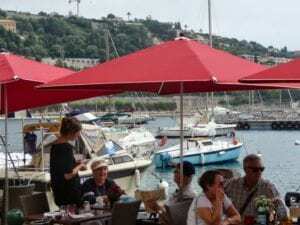 Dinner tonight is in a local restaurant on the waterfront. 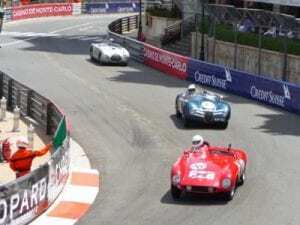 We either drive from Villefranche-sur-Mer to Monaco or take the train and enjoy watching the day's practicing and qualifying for the 2018 Monaco Historic Grand Prix see photos below. 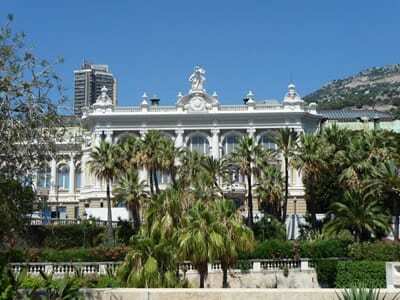 There is also an option to have lunch in the Hotel de Paris which is next to our grandstand in Casino Square. 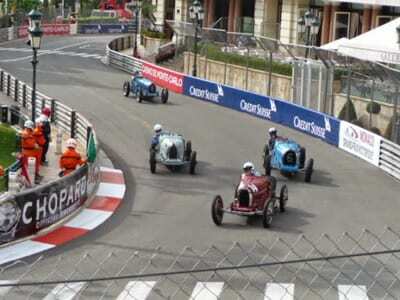 The Monaco Historic Grand Prix shares the same circuit with the Monaco Grand Prix. 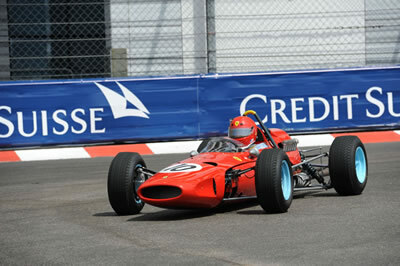 The circuit itself did not undergo any major changes until 1952 when adjustments were made to the Sainte-Devote corner. 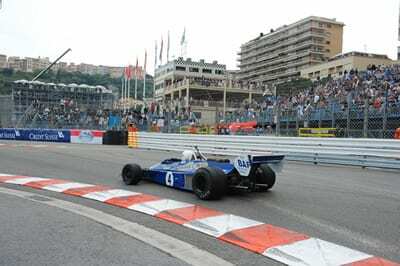 It was not until 1973 that it was altered again, with the addition of 135 metres of track round the new swimming pool and ending in the hairpin at the La Rascasse restaurant. 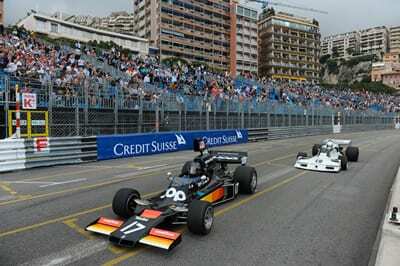 Ever since this change, the Grand Prix distance has been 78 laps. 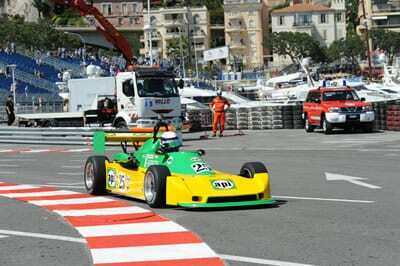 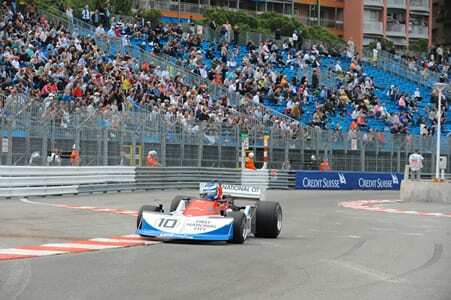 In 1976, two additional chicanes, one at Sainte Devote, the other at the exit of La Rascasse were added, then, in 1986, the track was widened from the entrance to Quai des Etats-Unis to the bottom of the downhill Boulevard Louis II, which allowed a new chicane to be incorporated. 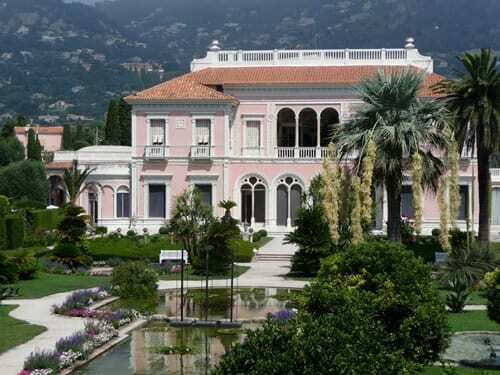 In 1997, the first part of the swimming pool complex was redesigned and named 'Louis Chiron'. 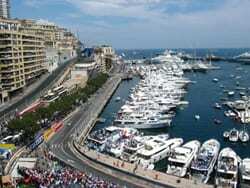 Between the Grands Prix of 2002 and 2003, some 5,000 square metres of land was reclaimed from the sea by a 150-metre long harbour wall which was offset from its original position by 30 metres. 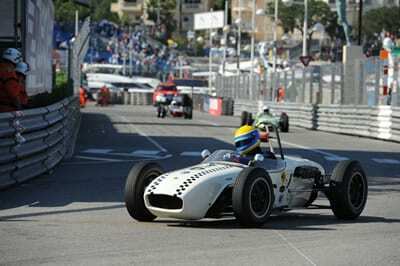 The harbour wall was achieved by stacking about 400 concrete blocks of 10 tonnes each. 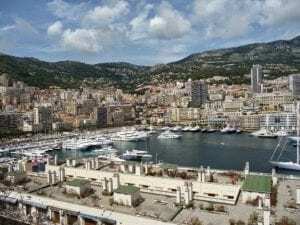 It also serves as a retaining wall to 25,000 cubic metres of embankment thereby creating a new platform of approximately 5,000 square metres, 1.2 metres above sea level. 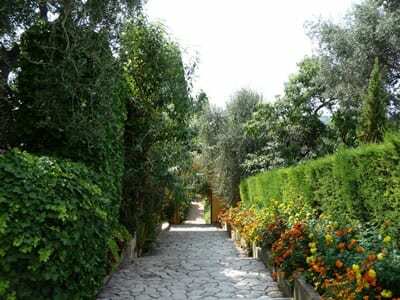 Nearly three kilometres of trenches were dug for the installation of utilities. 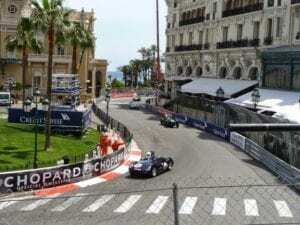 These networks provide services to the area for electricity, telephone, television, drinking water and sanitation, for both the Grand Prix and other events. 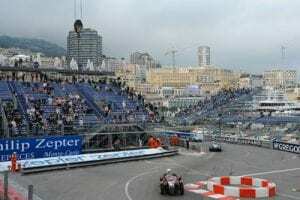 On the surface of this platform, a new section of Formula 1 track was constructed offset about ten metres towards the port. 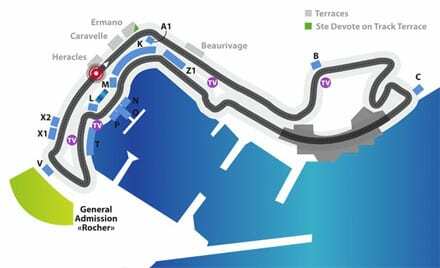 Thirty-six concrete supports permit the assembly of metal structures which incorporate hospitality units 13 metres above ground level over the new three-tiered stands which have overlooked the new pit area since the 2004 Grand Prix. 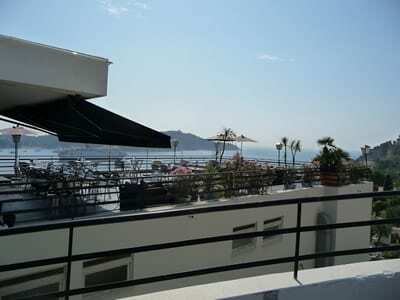 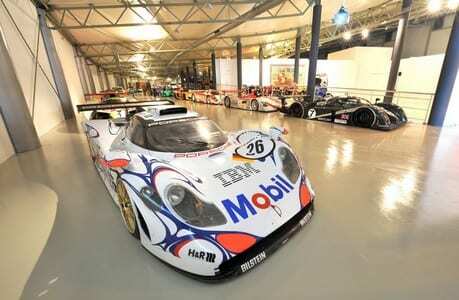 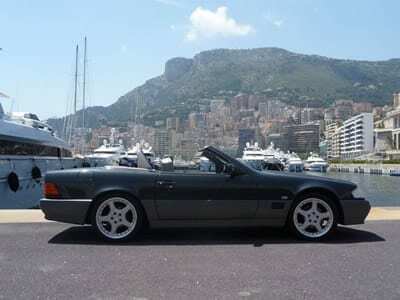 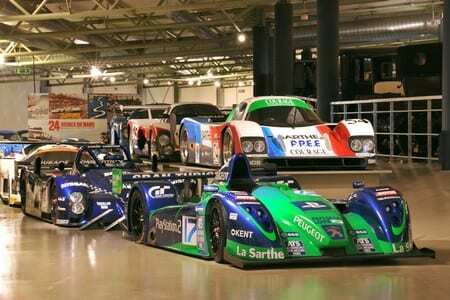 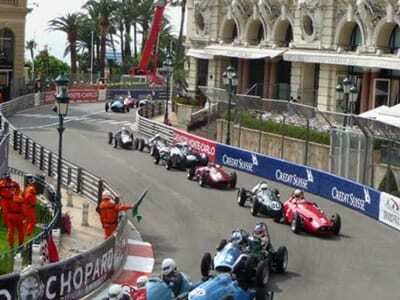 We set off early and either take the train or drive from Villefranche to Monaco and enjoy the day's racing.